I am not usually one to go all Pinterest-y for Teacher Appreciation Week. Our school (PTA/PTO) does a great job helping parents with theme’d days throughout the week….but let me just be completely transparent here….I never complete their ideas!! I have great intentions and then life happens and I just do not have the time (or the energy) to do something every day of the week. 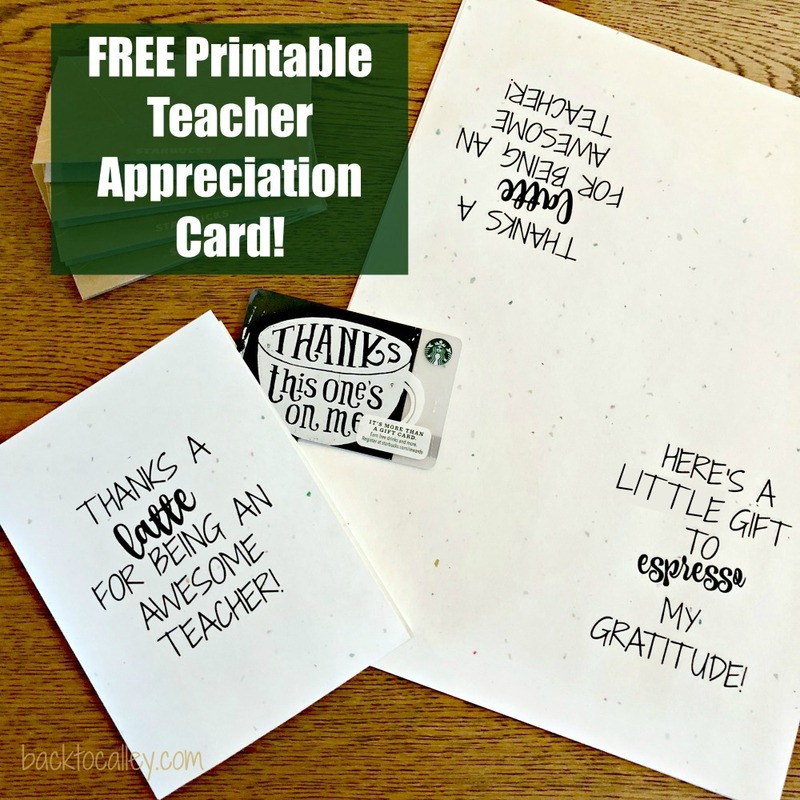 I work full-time, volunteer when I can, and totally appreciate my children’s teachers….but I just do not have time to pull off a “big” teacher appreciation week. 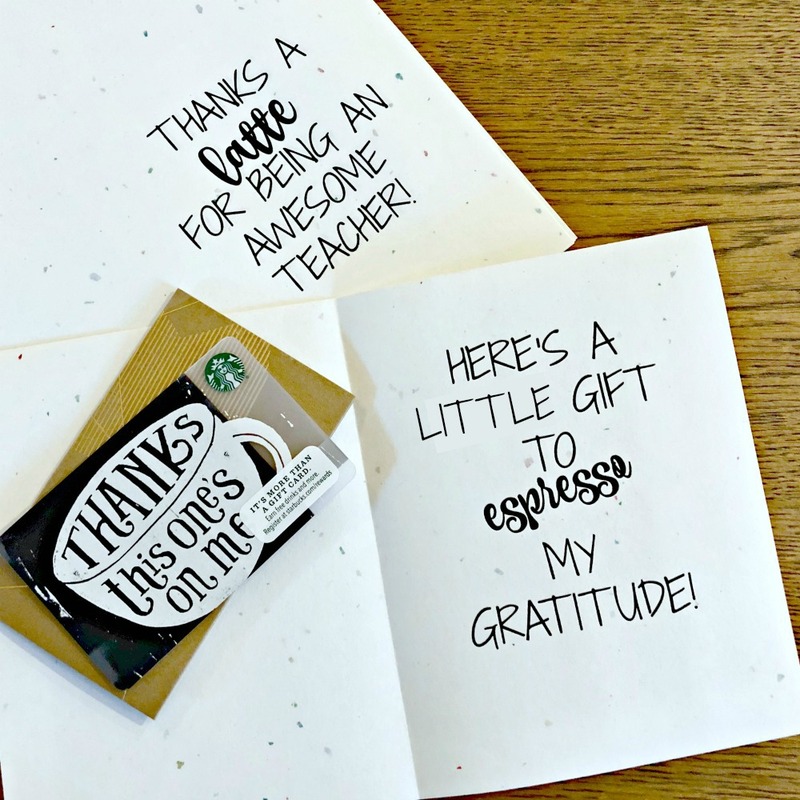 Instead, I run to Starbucks (or Dunkin Donuts or anyplace really) and buy up several gift cards for their teachers. I typically ask my kids to make a quick card as we’re running out the door. I’m feeling quite proud of my efforts today, so why not share them with other busy last-minute parents who may need them!! If you are creative at all you could always create your own card using PicMonkey or other online graphic/photo editing program. 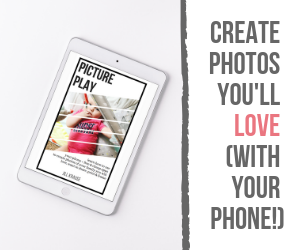 I absolutely love how easy PicMonkey is to use and allows you to create professional looking graphics in just minutes! Seriously, this card took me no more than 10 minutes to create!! PicMonkey is a subscription based program and costs anywhere between $5.99-$9.99 a month depending on the plan you sign up for. ….so click on the picture below to open up a PDF file that is ready to print! 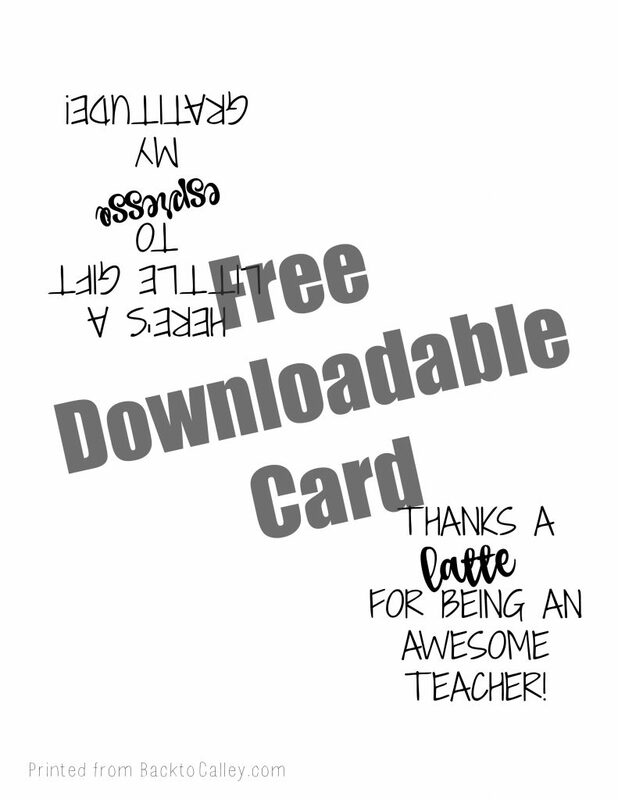 All you need to do is print and add your own gift card! It’s seriously that easy! The card is formatted to print on any 8.5″ x 11″ sheet of paper. If you want to get extra fancy, print it on a heavy card stock! Have you kid sign the card and you’re golden! Parenting badge accomplished in less than 15 minutes!! You’re welcome!! Want to show your appreciation? Share this post, pin a few pictures to Pinterest, and let all your friends know just how easy it was! !